Subdivisions leading up to 1890 anticipated the completion of the North Shore Railway line in 1890. 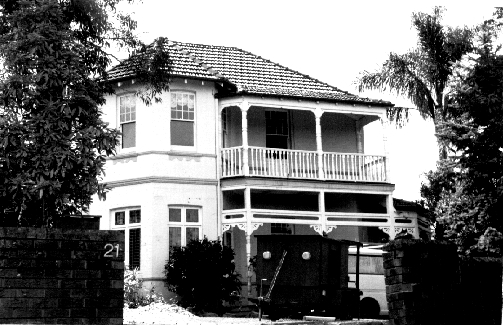 The first subdivision of McKeown’s lands, the Roseville Estate, created Roseville Avenue (now Wellesley Road), which extended north from Lane Cove Road to Church Street. A second subdivision created residential lots through to Stoney Creek Road (Mona Vale Road) and from Church Street to a newly defined Hope Street. 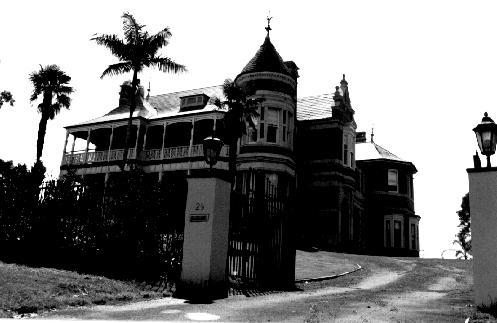 The grand houses in Church Street, from 19 to 33, all heritage listed with one exception (No. 25-27), form a particularly significant group. 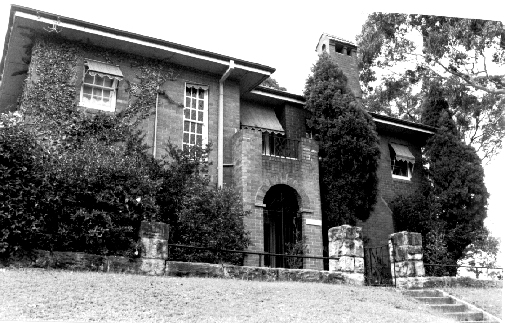 The north-western end of Church Street, and the southern side of Church Street between King Edward Street and Wellesley Road contains a significant grouping of heritage items and potential heritage items, and forms a logical extension to the gazetted Pymble Heights HCA. The original portion of the house was built in 1894 and a major new wing was added in 1905. The 1905 Federation wing has a very high level of significance.Built for Duncan Carson. Historical period: Pre-1900. Later altered. 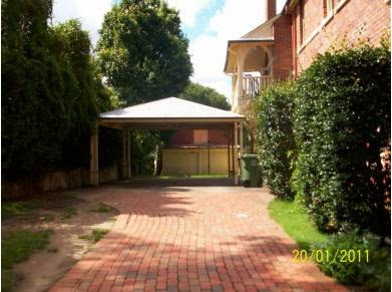 “Kiewa was built in two sections and is a mixture of styles. The original part of the house was basically an Australian Colonial style house with Queen Anne and Victorian elements added. The round corner tower with its central roof and terracotta ornamentation was derived from the style of the High Victorian era. The polychromatic effect of the painted cement bends between the red brickwork was also of Victorian origin. classical detailing was however derived from English Queen Anne style. “About the turn of the century (1905) a new addition was built onto the northern side of the house. This section was built in the Australian Federation style, the detailing being much simpler than that on the older section of the house. It was characterised by a very large bay, with three smaller bay windows projecting from it, which seemed to balance the front façade of the house. 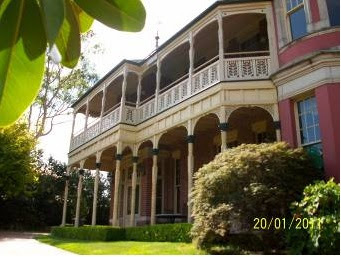 The northern veranda, which had been supported on turned timber columns with cast iron infill panels was replaced with a much heaver brick version. “The design of the house took advantage of the elevated site with two storey verandahs providing views to the north, east and south of the residence. 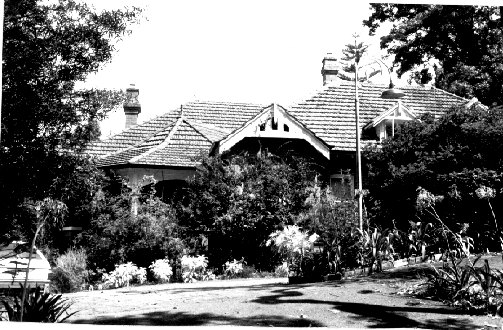 The 1905 additions to the north eastern corner of the house recreated the terrace with first floor verandah described as a ‘wide sleeping out balcony’ (p6 SMH 3 October 1914). 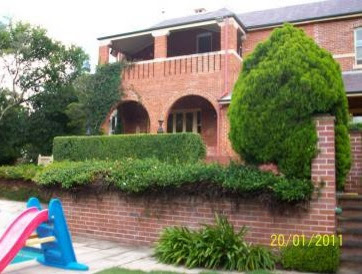 In 1983 the house was extensively restored with a minor addition of a new kitchen and associated terrace at the north western corner of the building. Several outbuildings north of the garage were removed and a large section of the sloping garden modified for a tennis court and pool.